Dell UK has recently released its new netbook which is known as Inspiron M101z. The netbook is being designed to replace its predecessor Inspiron 11z. The performance of the netbook has been improved with the latest AMD’s Athlon II Neo processor, integrated with ATI Radeon RS880M graphics and runs on Windows 7 Home Premium operating systems. Featured with a 11.6-inch LED HD TFT display with TrueLife and 1366 x 768 resolutions, the new machine is also equipped with 1.3-megapixel web camera. It boasts with either Athlon II Neo K125 single core processor or Athlon II Neo K325 dual core processor, supports up to 4GB of DDR3 memory and up to 320GB hard disk, integrated with stereo speakers, microphone, Ethernet LAN, a SIM card slot, three USB ports, a 3-in-1 media card reader, VGA and HDMI outputs. Additionally, it is Bluetooth and wireless enabled, and comes with a battery that provides up to 6 hours and 36 minutes of battery life. 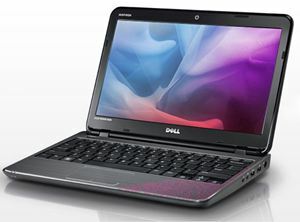 Available in pink, blue, red and black, the Inspiron M101z is available at Dell UK for the price start from £379.